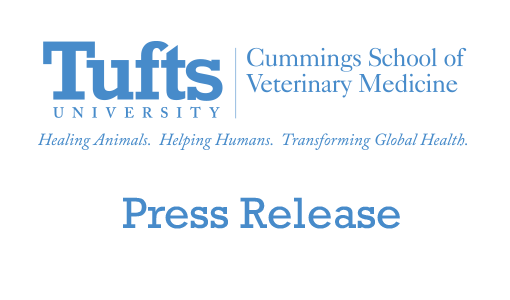 The Cummings School of Veterinary Medicine at Tufts University welcomes the public to an open meeting of its Institutional Biosafety Committee (IBC) on Saturday, September 22, 2012 from 11 a.m. to noon in the second-floor quiet lounge of the Agnes Varis Campus Center at 5 Jumbo’s Path in Grafton during the school’s Open House celebration. Scheduled topics of discussion, with opportunities to ask questions, include the IBC’s role in oversight of research activities at the Cummings School, a run-through of a typical meeting and the role of community members in the committee. The school’s Associate Dean for Research, Sawkat Anwer, DMVH, PhD, will also provide an overview of current research activities at the school, while Sam R. Telford, professor of biomedical sciences, will share his perspective as an infectious diseases researcher at the school and especially in relation to West Nile Virus (WNV) and Eastern Equine Encephalitis (EEE). Stephen Larson, Tufts University’s director of environmental health and safety, will share how protocols approved by the IBC are monitored and enforced after approval. 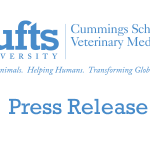 In accordance with the NIH Recombinant DNA Guidelines, Tufts’ University formed an Institutional Biosafety Committee (IBC) that is responsible for the review and approval of recombinant DNA (rDNA) and infectious agent use. Committee members have extensive experience in the areas of infectious disease, molecular biology, physical containment, research animals and biosafety, as well as regulatory and policy issues. This year’s open meeting is the fourth since 2009. Cummings School officials moved the meeting to the fall to coincide with the school.s annual Open House, which will take place from 11 a.m. to 3 p.m. on September 22. For more information on the Institutional Biosafety Committee, please visit www.tufts.edu/vet/ne-rbl/community/institutional_biosafety_committee.html.